With the years of experience & knowledge, we are engaged in offering a wide range of French Chalk Powders to meet the demands of our clients. These powders are chemically balanced & are available in accurate compositions. All these products are finely processed and available in different packs. We are a most trusted name among the topmost companies in this business, involved in offering French Chalk Powder. 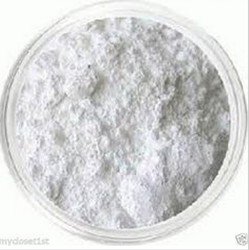 Our Organization offer this product with a wide range include powders such as French Chalk Powder, ATH Powder, B.P. Powder and Calcium Carbonate. The chalk powder offered by us is highly acclaimed by an experienced team of professionals for their consistency. we are highly appreciated by our valuable customers. We have gained a remarkable position in the market that is involved in offering French Chalk Powder. We are a reputed name in the industry, devoted towards offering the best quality array of French Chalk Powder.